Today in headlines we never thought we’d write: People are using old macs as planters and it’s actually very chic. 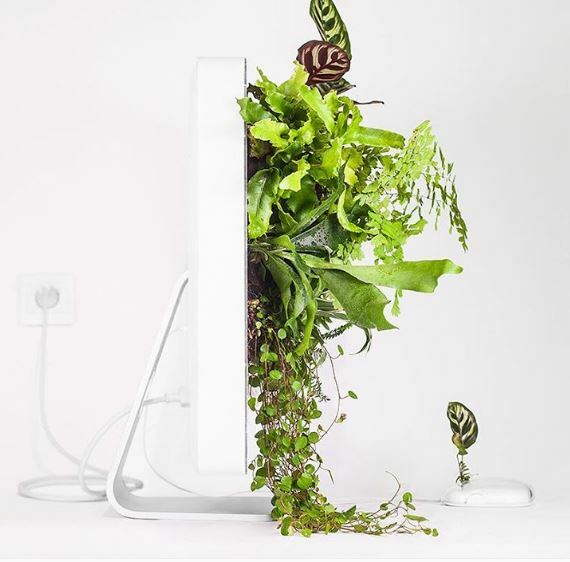 French artist Christophe Guinet, who uses the pseudonym ‘Monsieur Plant,’ turned some classic Apple products into tiny, lush gardens. 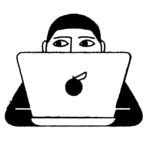 The project is aptly titled Plant Your Mac! and uses models like the Macintosh Classic, iMac G3 and 65, and Powerbook. Bright green foliage contrasted with the Apple products’ white colors and sleek lines are sure to make every minimalist’s heart beat a little faster. But according to Monsieur Plant himself, the project is meant to make the viewer ask questions about the mingling of nature and technology. “I want to make people conscious that nature exists because we tend to forget it in the city. We’re manipulated by trend phenomenon that creates useless needs,” he told Garden Collage. “We’re continually inclined to consume. Ultimately, the more we consume, the more we destroy,” he said. In addition to making commentary on consumerist society, the art might also make a nice Christmas gift for the tech-loving gardener in your life. Just saying!